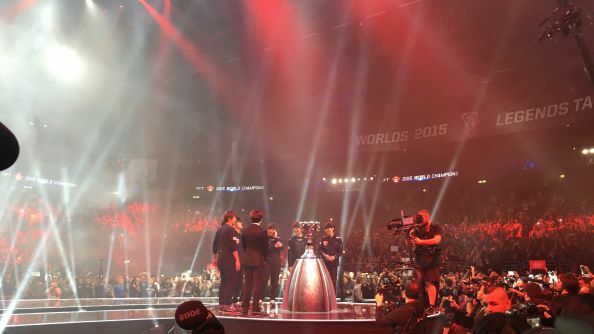 Korean team SKT Telecom T1 have become the first League of Legends team to win Worlds twice after defeating KOO Tigers today 3-1. The two-time champs almost made the perfect championship run, having not dropped a single game since the tournament began at the group stages in Paris. 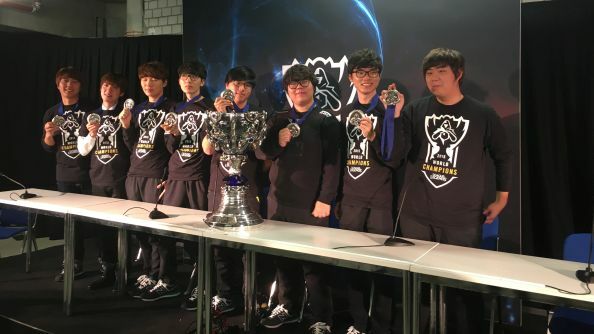 KOO Tigers, who were written off early in the running as the weakest of the Korean competitors, can take solace in having at least drawn blood in their battle with the gods. 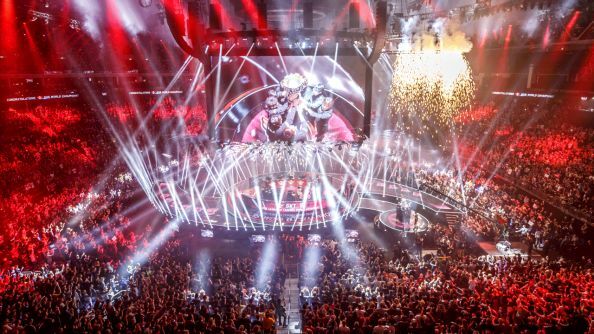 The crowd in Berlin’s Mercedes-Benz Arena threw themselves behind the underdogs, and chants of KOO’s name filled the stadium during their brief fightback in game 3 after pre-match VTs revealed players’ only wish was to hear fans cheer for them – and to at least do some damage to SKT’s kill-death ratio. Yesterday, MaRin seemed convinced that KOO’s early game would be their weak point, however they also considered jungler Ho-jin “hojin” Lee to be a weak link in KOO’s defense and this proved to be a fatal mistake too. Going 7/1/18 in game 3, and at one point holding a 7/0/7 streak, hojin stepped up to make KOO’s mark in an otherwise flawlessly dominating tournament for SKT. For the 19-year-old, the real struggle begins now however, as SKT enter into a new year as defending champions, something the team does not have the best record of. “After I won worlds back in 2013, I was not able to make it to Worlds immediately after,” Faker said. “And I think that shows how difficult it is to stay at the top. And so to stay there, we’re going to have to work very hard. Though Europe’s cuisines may not have sat well with the team, you’d imagine that travelling between Paris, Brussels, London and Berlin might give them a chance to sample some of the continent’s other cultural heritage, but apparently e-sports is serious business.